Think you know it all when it comes to the ABC hit? Prove it at The Bachelor Trivia! We'll look back at past seasons of The Bachelor, The Bachelorette, Bachelor in Paradise, and The Bachelor: Winter Games. Can you keep track of the proposals, breakups, marriages, kiddos, and publicity stunts? 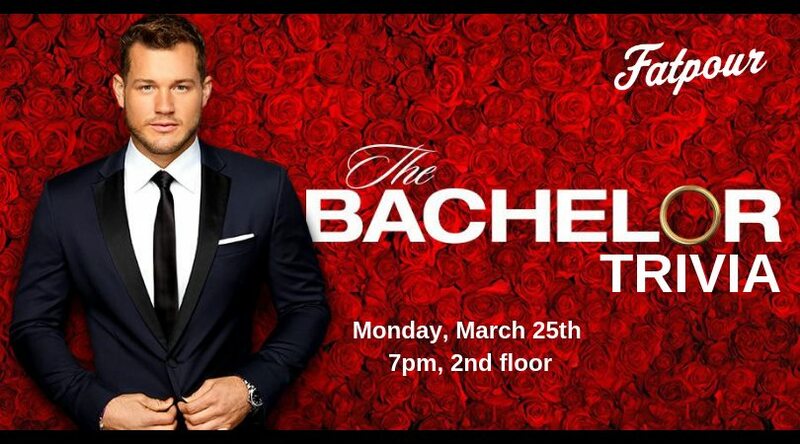 See if you have what it takes to earn the final rose and be crowned winner! Email cwilson@fatpourtapworks.com to reserve a table for your group!